Dodge Cummins Diesel Forum > 2nd Gen. 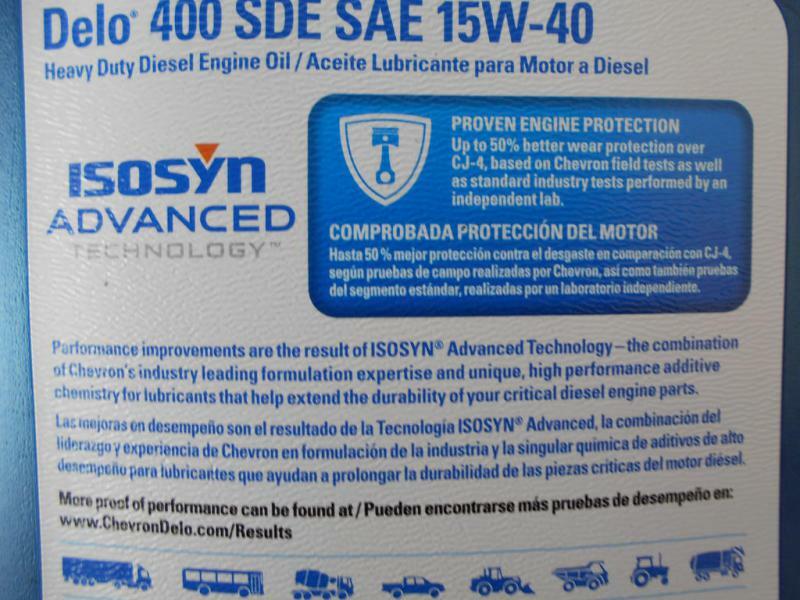 Dodge Cummins 94-98 12V Forums > 94-98 Powertrain > Delo 400 sde. 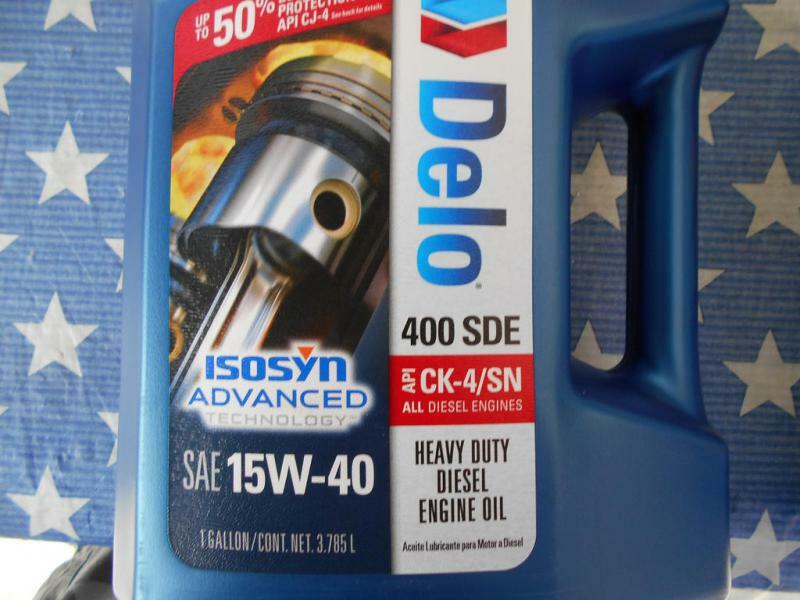 Ok, so it's been about 5 month since I changed my oil and filter, and this is the first time I've used the new formula Delo 400 sde.I have use delo 400 and my Dad has used delo 400.What's changed is I've notice the oil has stayed clean looking after 5 month's, before, after a couple of day's with the old formula, the oil would be black again. Is this normal? Plus I notice the oil pressure fluctuates more,stays in the normal range , the needle just moves more than it did before, about 45 to 50 on start up, and once warmed up 35 in gear at idle, and driving 40 to 45. .HAS ANY ONE USED THE NEW FORMULA, WITH THE SAME RESULTS?Here is a pic of the oil now. Oil is oil, but if the Delo isn't picking up and suspending soot I wonder where it is going. 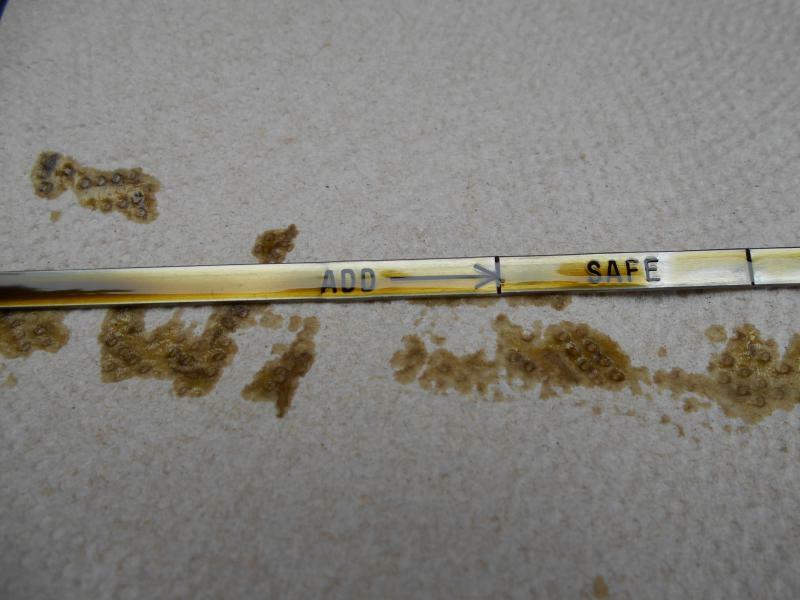 Ever had an oil analysis done? No, where do I get that done? or can you pick up a kit to send in for analysis.I'm running the FLEETGUARD LF16035 StrataPore oil filter for the first time, will it keep the oil cleaner? 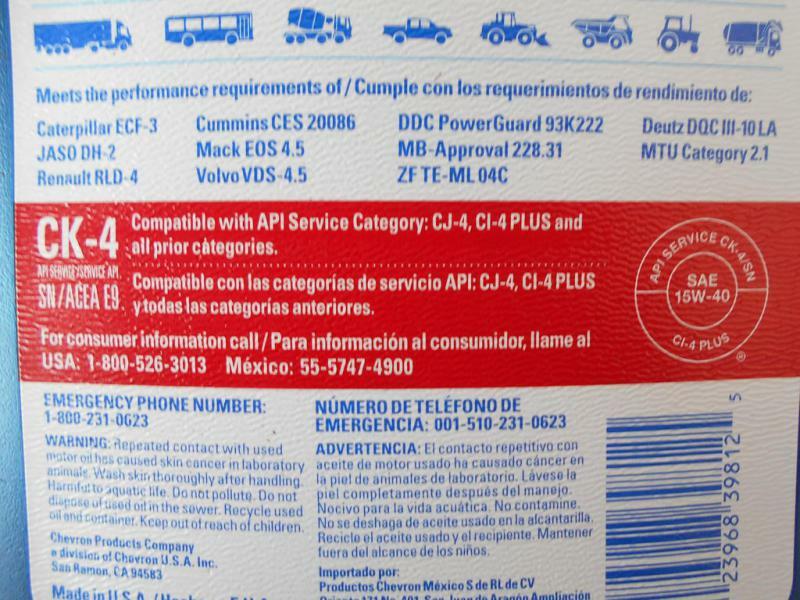 The oil says its compatible with API Service Category;CJ-4,CI-4 PLUS and ALL prior Category. https://www.genosgarage.com/product/cc2525/oil-filters There are a few places that sell the kits for less in bulk, or Blackstone labs who I believe will send you a kit and you pay when you send it in. 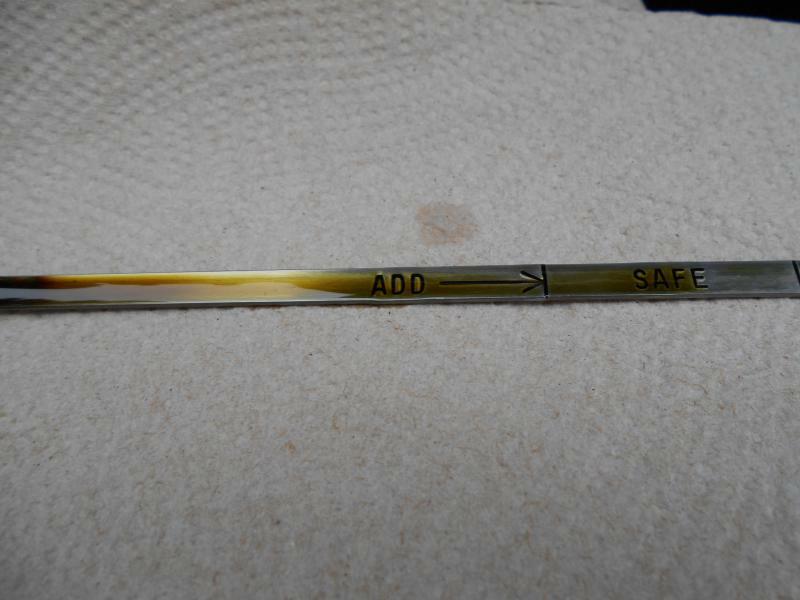 Soot particles are too small to be captured by a filter, even the bypass filtered trucks' oil turns black. I used Fleetguard Stratapores since my truck was new up until about two years ago when I switched to the Fleetguard LF9028 which has a built in bypass. The bypass portion is 2 micron compared to the 10 micron of the Stratapore element. I've extended my drains to 25,000 miles with 12,500 filter changes. Before I found out about Polaris Labs and started buying their test kits in 10-packs, I got an UOA kit or two from the local Cummins distributor (Southern Plains Cummins). I think Polaris actually did (maybe still does) the testing on the Cummins kits - that's just my impression from the look/feel of presentation of the test results at the time. If there is a Cummins dealer near you, try them - or perhaps a heavy duty truck dealer with a parts/service department. ...... or perhaps a heavy duty truck dealer with a parts/service department. To add to that, if the service dept has a desk top analysis SAVE YOUR MONEY!! They are not reliable......period. Send your sample to a lab. Monitor is the company that Fleetguard samples go to, so Polaris is a third choice. 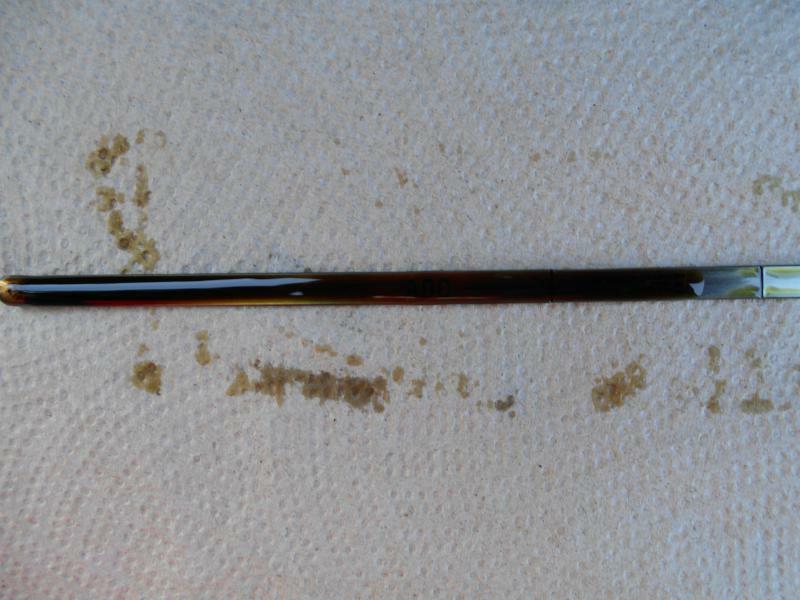 My oil has never "instantly" tuned black. It slowly gets dark after some time. It's black when I change it. Oil analysis have always looked good. I rarely rev past 2000RPM, and I've always assumed the engine was just tight. It's been doing this since I bought it 70,000 miles ago. I ran K/N on the filters first time around then after getting slapped around on this forum I switched to fleetgaurd on the filters. I used to run Rotela T6 synthetic but Valvoline synthetic is always on sale and is cheaper plus I noticed slightly better wear on the UOA with Valvoline. Looks totally normal to me. When I worked for Halliburton, all that was used was Delo in our 2500hp frac pumps. These pumps used either Cummins QSX V-16's or Cat V-12. They pretty much spent their entire life either running wide-open or idling for hours on end. Not a kind life on these engines. I think I only saw one of these engines fail, blew the side right out of the engine, connecting rod, piston and all. I'm pretty sure any variety of Delo is good. '92 W250, 46RH, 62mm compressor, 18cm2 turbine housing, 4" exhaust, Dana Power-Lok rear diff. Monitor is the company that Fleetguard samples go to, so Polaris is a third choice. "Monitor" is the name of Cummins Filtration's oil-analysis service, not the lab that does the analysis - per the Cummins Filtration site "With Cummins Filtration convenient and effective Monitor™ Fluid Analysis program..." and from a PDF about the Monitor service "Monitor™ Analysis is a service provided by Fleetguard through dealers to individuals or companies" - Monitor is not the company that actually does the testing, it's just Cummins Filtration/Fleetguard "rebadging" someone else's testing and management system. In fact, the login link on the first page I referenced goes to eoilreports.com, which is Polaris's Horizon site - proof that Cummins/Fleetguard's Monitor service is Polaris's Horizon system/service with a different "skin" on it ("rebadged", so to speak).